These miniature bears are a bit fiddly to make up and require forceps or tweezers to turn and stuff them. 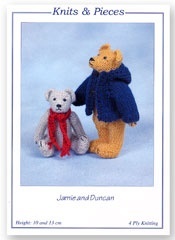 They are ideal as collectors bears, mascots or pocket sized friends. Not suitable for small children.